Keyless entry systems are gaining immense popularity both for vehicles and residential purposes. And why not? It has after all so many advantages right from convenience to an enhanced safety and security. There are many types of digital access control devices such as keypads, remote, bio-metrics and smart locks. But before you decide and plan to install a keyless door lock for your home, you must be aware of all the risks associated with it as well. One of the most important benefits of having installed a keyless door lock is convenience as you no longer need to carry a key. That only means that you are less likely to lose a key and face the inconvenience of being locked out of your home or a car. In addition, many homeowners hide an extra key under a mat or somewhere on the exterior of the house for someone else to get an access to your home. This poses one of the biggest security threat for home owners. Having a digital key will eliminate the requirement for that extra key – scoring extra security for your home. How? With smart locks, you can simply tell the right code needed to gain access to your home. You don’t need to leave an extra key hiding somewhere on your property. In some locks, you can even program your locks to be opened on a specific hour so that you can allow certain people like daily help or maintenance guys to go inside at your discretion without you needing to be around. With digital locks, you can even keep a track of when and how people attempted to get inside your house. Biometrics based digital locks uses your unique physical characteristics such as fingerprints scan or your voice as keys to give you an access. If some other person will try to attempt an illegal entry, these locks would not determine the identity of the person. These physical characteristics are nearly impossible to hack or spoof, giving a high edge to your home security. While we can’t deny that there are so many advantages with digital locks, it brings its own share of slip-ups. What if you forget the code in case of an emergency? You will be locked out. And since you are required to keep changing your codes or passwords every once in a while, it is very much possible that you might forget the right code. Another disadvantage is that in case of power failure, you might suffer a short-term inconvenience, if your keyless entry systems are powered by electricity. You must also be careful with the battery life in case they run on batteries. If your lock device operate via a Wi-Fi connection, it may get disrupted in case the connection get lost. Also, these locks are based on newest, latest technologies and therefore are very expensive to buy, and complicated to install and repair. You need to contact a professional locksmith, in case you need to get your lock repaired or reprogrammed if you lose your remote fob. If you think a digital lock is best suited for your security requirements contact 24 x 7 Locksmith Waco. We are a professional locksmith who are experts in installing all kinds of mechanical, digital and electronic locks. We can help you install, repair and maintain high-security locks with amazing expertise and at affordable rates. Have you ever struggled with any of these scenarios? Duplication is the name of the game here but an expert and reliable automotive locksmith, Waco Locksmith, can help you with all kinds of locksmith services such as repair, replace and install keys and locks, program ignition keys, repair ignition and even retrieve broken keys. Our technicians are proficient in latest technology in auto industry. They are well equipped to deal with all kinds of automotive lock challenges and are prepared all the time as they have all the required tools and devices in their mobile service unit. It’s just not the cars that specialized auto locksmith can assist you with, but all sorts of vehicle keys such as motorcycle, trucks, vans and even caravans are dealt with. Waco Locksmith will be able to help with any model of vehicle and any kind of key, whether it is transponder car keys, key fobs or remote keys and even standard car keys. Transponder key has an electronic micro-chip embedded in the key. It helps to keep your vehicles safe and secure and prevent it from getting stolen. What if you lose a transponder key? Or find your transponder key malfunctioning? Getting to the dealership can be an expensive affair. But you no longer need to worry as an expert auto locksmith can easily duplicate transponder keys and can also repair the keys that are not functioning properly. It saves you a trip to your dealership. 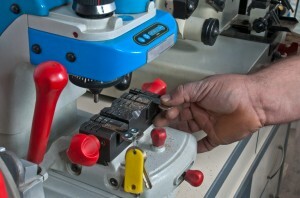 Now-a days, even the main dealers leverage the services of auto locksmiths to replicate the micro-chip keys. What if your car keys are stolen? Here, the auto locksmith will not simply replace or duplicate the keys. In case of stolen keys, the service provider will reprogram your vehicle so that the old keys can’t be used any longer. Out for a late-night movie and find that you have lost your car keys? Need to attend an urgent meeting but your key just got stuck in the ignition? 24 x 7 automotive Waco Locksmiths will help you deal with such urgent situations and will send skilled and certified technicians to wherever you are and at whatever time of the day. Equipped with the necessary tools and machines to deal with any kind of simple or complex situation right on the spot, our expert technicians will come directly to you to perform all the work right there. It will not only help you save your precious time, it will also help you avoid getting your vehicle towed, thus dodging the possibility of any potential damage to your vehicle. Geared to help you at any time, any day of the year, 24 x 7 auto locksmiths providers will make sure that your safety as well as the safety of your vehicle are never put at risk. What else can an automotive locksmith help you with? Are you looking to install new security systems in your vehicle? A new alarm? An enhanced high-tech feature that makes your car more tech-savvy and your life more convenient? An end to end automotive locksmith provider will be able to help you with these extended services as well. Most people assume that if a car key is lost, the only thing you can do is go to the dealer. Our Waco locksmith proves that theory wrong. While in some cases, going to the dealer is the only option, most lost car keys can be replaced by an auto locksmith. Here in Waco, our car locksmith technicians have the skills and the technology to cut a replacement car key for your vehicle on the spot, and ,if necessary, program the transponder chip to the vehicle security system. How can a locksmith in Waco replace your car key? If you lost your car keys, or your keys were stolen and you are anywhere in the greater Waco metro area, call our Waco car locksmith division and we'll send a technician to you, where ever you are that will cut a new key for your car on the spot. Our auto locksmiths in Waco are equipped with the latest technology for car key programming, and key cutting machines that enable us to create replacement car keys out of our trucks, and program the keys to the ECU so the car can start again. Most new car models are eqipped with a transponder system that prevent anyone from just turning the ignition and start the car. A programmed key has a maching frequency to the computer installed in the vehicle that allows the driver to start the car. If you're looking for a Waco locksmith to come and replace your lost or stolen car keys, call us anytime and we'll be happy to help. Our on call mobile locksmith technicians are standing by ready to service you with any automotive issue you may have. We can help with keys stuck in the ignition or ignition that won't turn, extract broken key from door lock or ignition cylinder, retrieve keys locked in the trunk, reprogram transponder keys and remotes, copy transponder keys, cut new car keys and unlock vehicles. Call us today to see how we can help you @ (254) 876-5585. Finding a locksmtih in Waco shouldn't be a hard task. In fact, when searching for a Waco locksmith online, you will find a long list of businesses just waiting for you to call, and they're all saying they are the best locksmith service Waco. Welcome to our first post in what will be an ongoing blog about our extended locksmith services in Waco, TX. In Waco, we are your one stop shop for any type of locksmith service such as emergency, residential, automotive and commercial. Our Waco locksmith services are provided anywhere in the greater Waco metro area with no exceptions. Whether you're locked out of your car or house, need new car key replacement, or need new locks for your business, we do it all. We offer locksmith solutions to different types of doors and locks, such as bicycle locks, garage door locks, lock boxes, safes, and basically, anything that has a lock on it. We strive to provide fast and efficient service, therefore our technicians are equipped with almost any type of lock and key they need, in order to complete the job on site in one visit. When we see a damaged lock that can be fixed, we'll fix it and not replace it. With your security in mind, we only recommend to replace a lock when necessary. Whether you're locked out of your house, car, storage or office, call our Waco locksmith service for the fastest mobile locksmith in town.